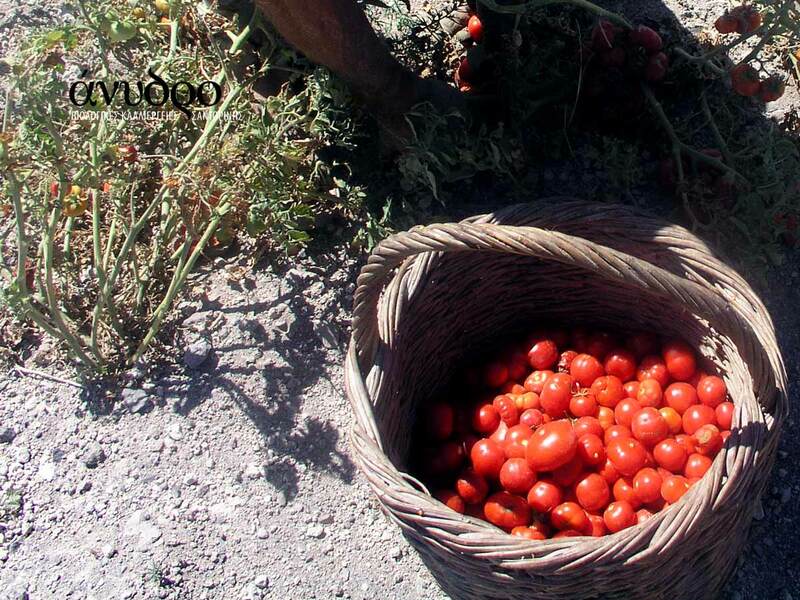 In the beginnings of 20th century, the cultivation of cherry tomato, was very wide-spread among the Santorinian farmers. Imagine that were existed 9 industries which produced tomato paste. Αfter two decades the economy transformed from a farming one to a touristic, with only few farmers left and mainly elderly people. 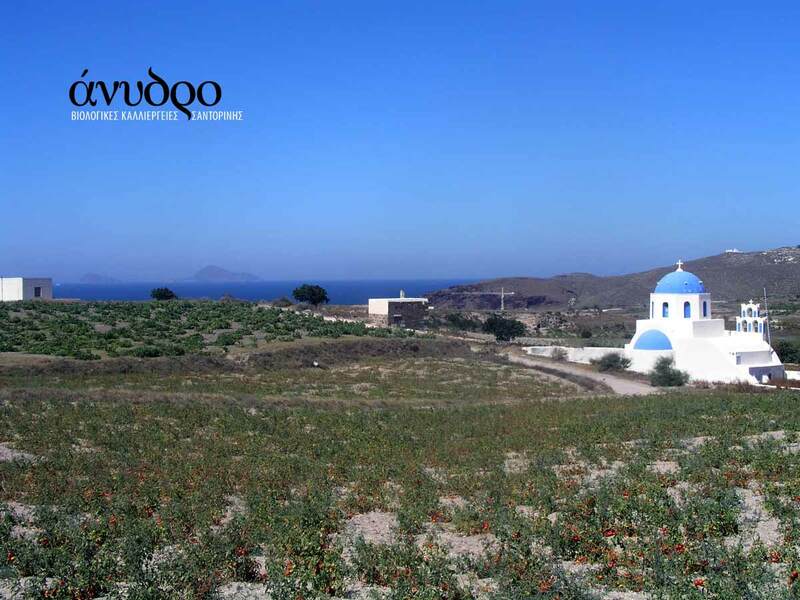 However, back to 1997, Petros Oikonomou successfully tried to restart the cultivation of cherry tomato in Santorini, and today produce with success the organic local tomato. 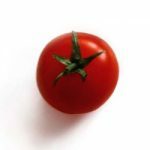 “In the year 1997, after many experiments with growing different types of tomato, I began to grow the local variety, in Megalochori. 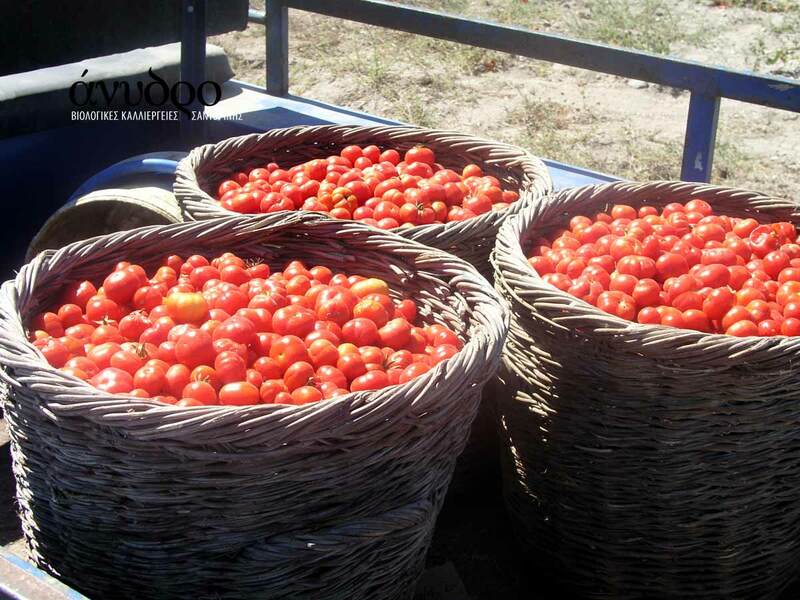 Next thing to do, was to try the traditional way of cultivating the tomato and after packing the product in jars, to leave it up to the consumers to decide about the future of this effort.”, says Petros Oikonomou. 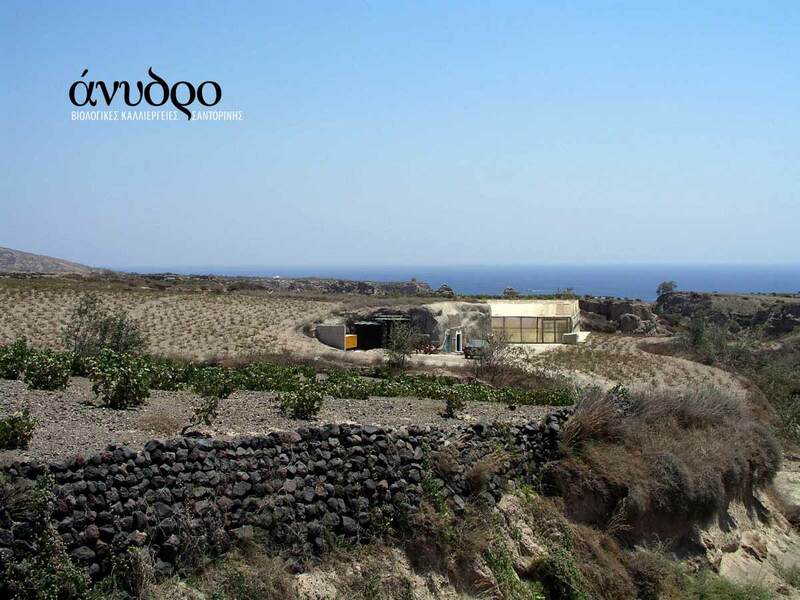 As the products became popular, with many awards, so did the production started growing and the cultivating area became over 40 acres. The cultivated variety is small and bushy. 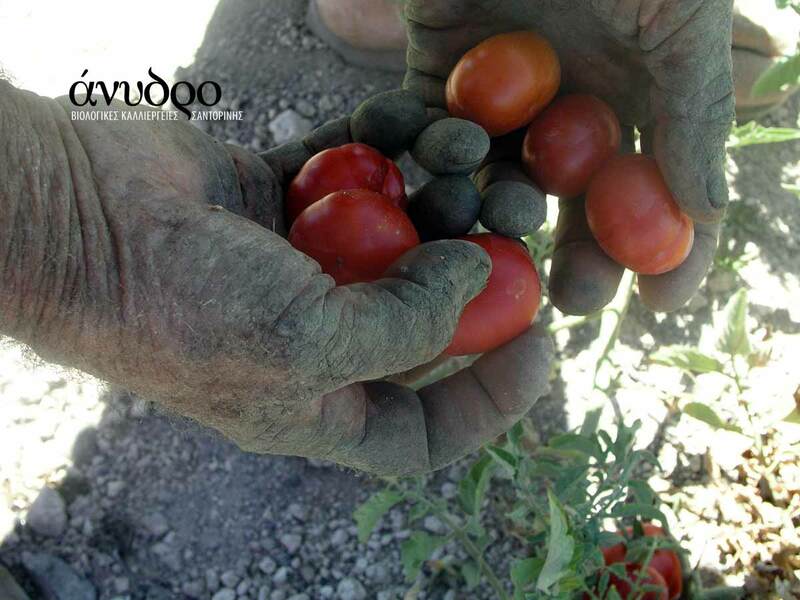 Sowing takes place at the end of February, (after being bleached with lentils) directly in the field, in pits with a diameter of 30-35 cm. In April, the plants are thinned, leaving only 2-3 plants per place. Then the young plants are stranded to protect them from strong winds. In mid June, harvest begins and yields do not exceed 500 pounds per acre. 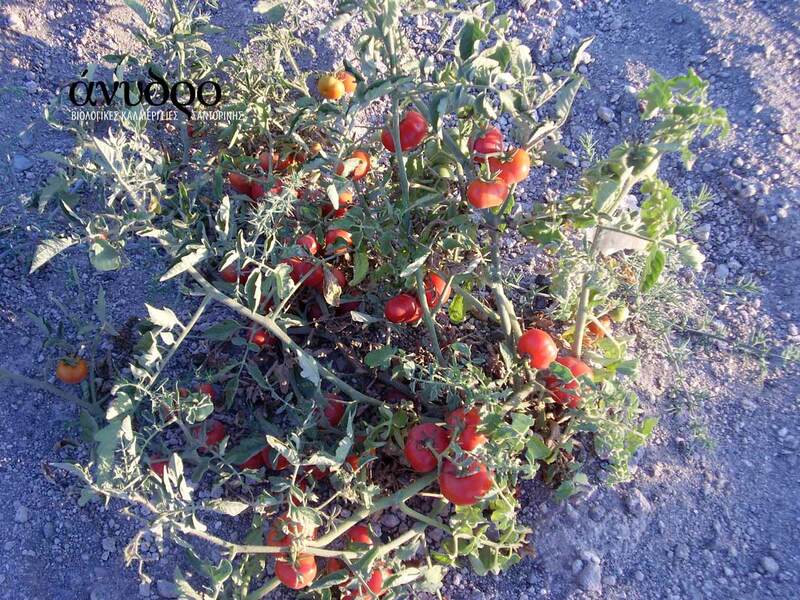 Cherry tomato of Santorini owns its deep aroma and sweet taste in the unique climate and the volcanic soil of Santorini. The rain falls are limited but the plants do not need any draining system. 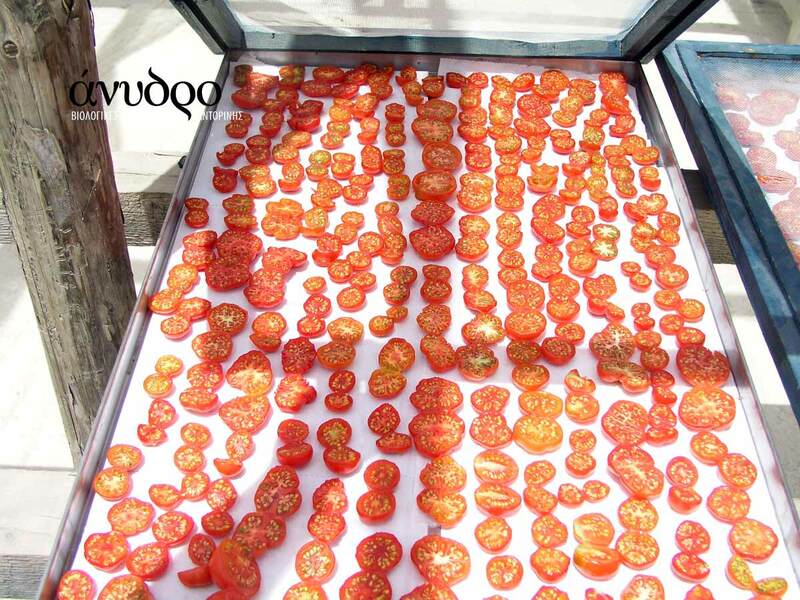 The humidity of the night, concentrated inside the light-stone and during the day time offer to plant this humidity. 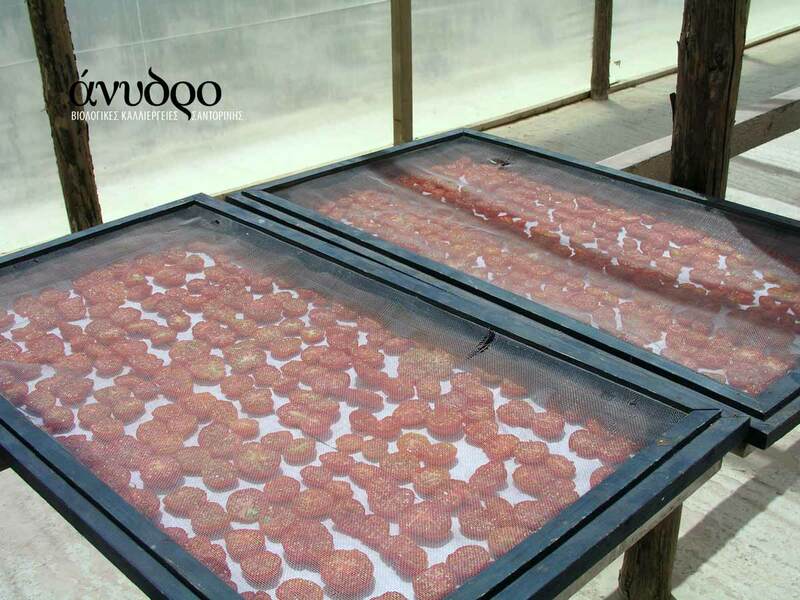 Our products are biological under the certification of the Greek Biological Institution and with HACCP certificate. 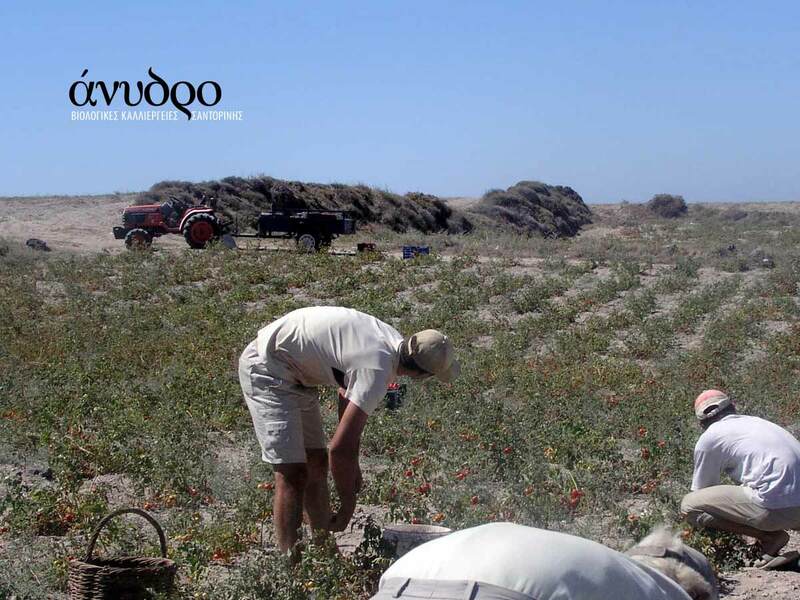 Especially in Santorini, the organic cultivation of tomato is favored by the dry-heat conditions of a little rainfall of <300 μm per growing season), very strong winds and high temperatures – prevailing on the island most of the time. 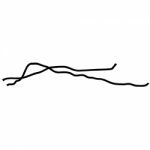 These conditions do not allow pathogens to be installed and developed, as well as to complete the biological cycle of insects. In addition, the existence of a significant number of beneficial species (predatory mites) directly helps to balance the fauna of the area, preventing insect offenses.